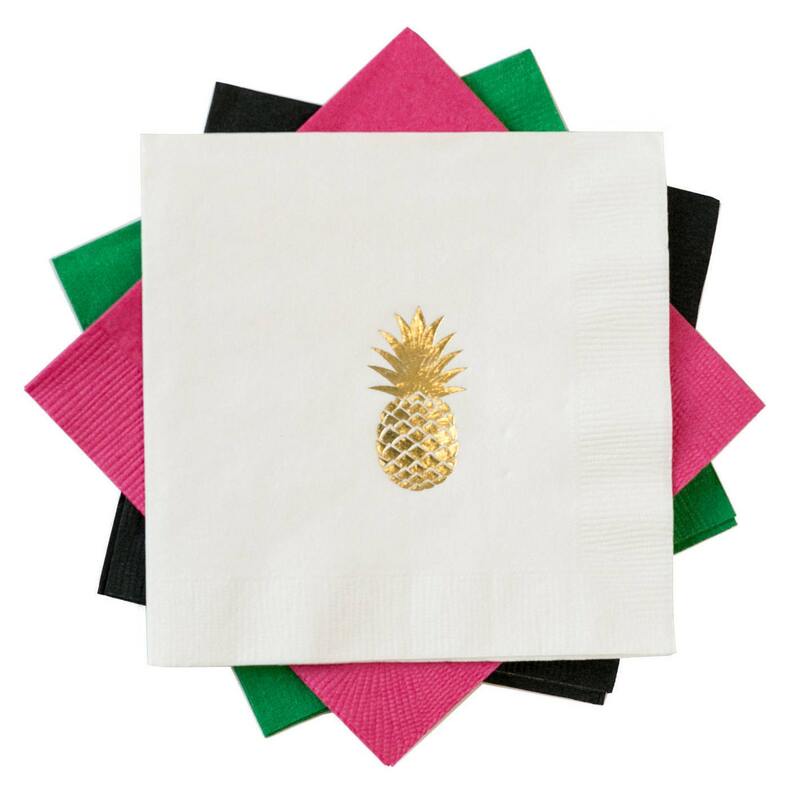 Pineapple Cocktail Napkins, Foil Stamped, 3 Ply, 20 CT.
How fun are these cocktail napkins!! From the Roc Shop's summer line, Let's Get Tropical!! 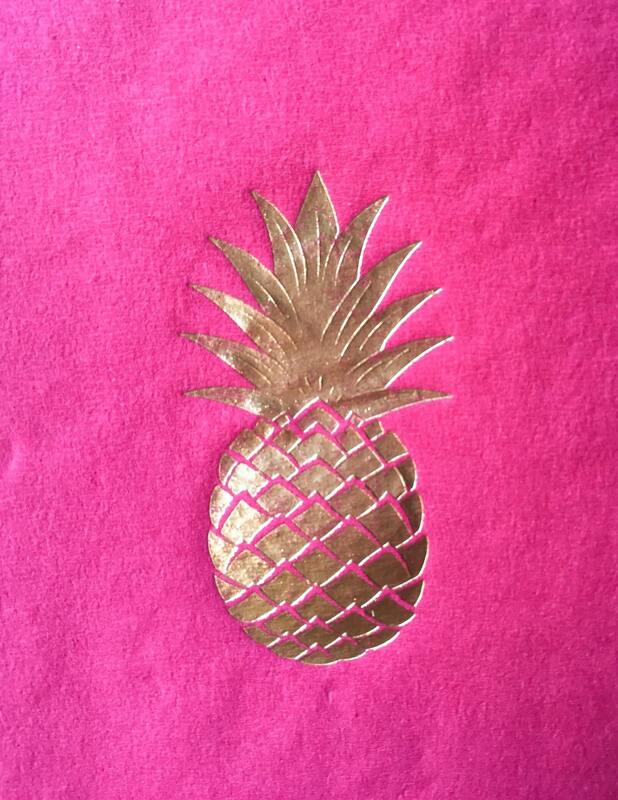 Liven up your summer party with these cute gold pineapples. Thanks so very much for the fantastic items. They will help set the mood for my Tropi-Glam wedding. They were packaged beautifully, they arrived in plenty of time and very well printed. 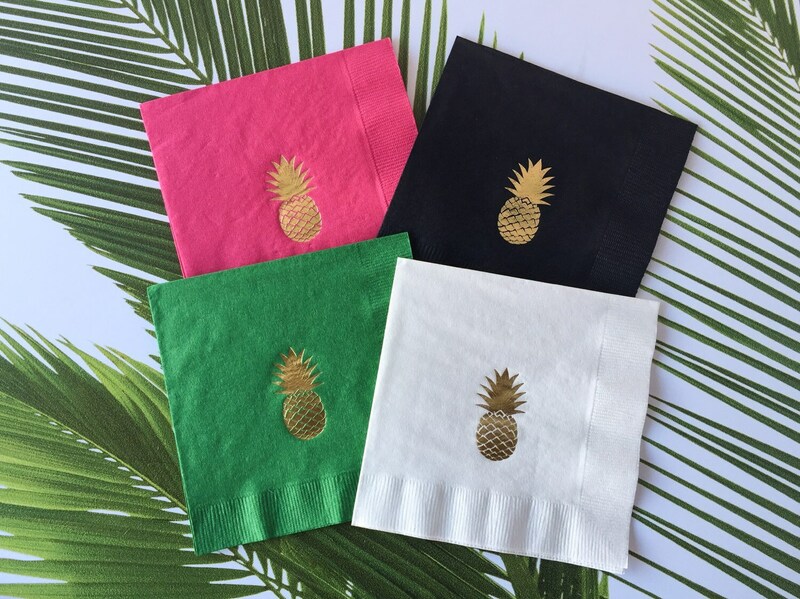 These napkins turned out perfect! !